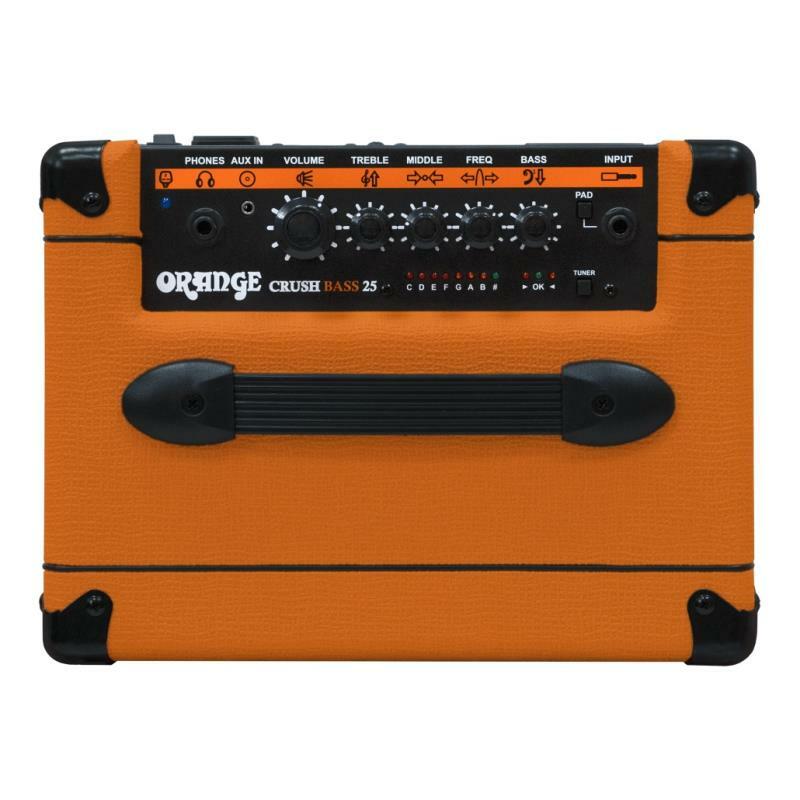 The Orange Crush Bass 25 is the smallest model in the Crush Bass amp range, but it still retains the warm and rounded tonal character Orange Amps are known for. This tone has made Orange the amps of choice for some of the world’s most iconic bass players. The 25 Watt Crush Bass 25 features an all-analogue signal path, a ported cabinet for improved low end response plus a highly responsive active EQ section. Like the rest of the Crush Bass range, the amp’s variable parametric mid band allows for unlimited control over a broad range of frequencies in addition to the bass and treble. Dial in a massive range of classic bass tones or create your own. With an integrated tuner, an aux. input for backing tracks and a headphone output with Orange's Cab-Sim circuitry. The Crush Bass 25 is the perfect miniature rig for all players on which to hone their tone.